Stink up the place with these new weapons. Fortnite's latest update is here, and with the V4.5 patch comes a lot of new goodies for you to play around with while in-game. You've got plenty of new ways of "suppressing fire," as the official Fortnite blog puts it, with the Drum Gun, the Stink Bomb that's just been added to the Save the World mode, and even the Freedom's Herald Pistol, which offers a "firework show on the go." 'Murrica! 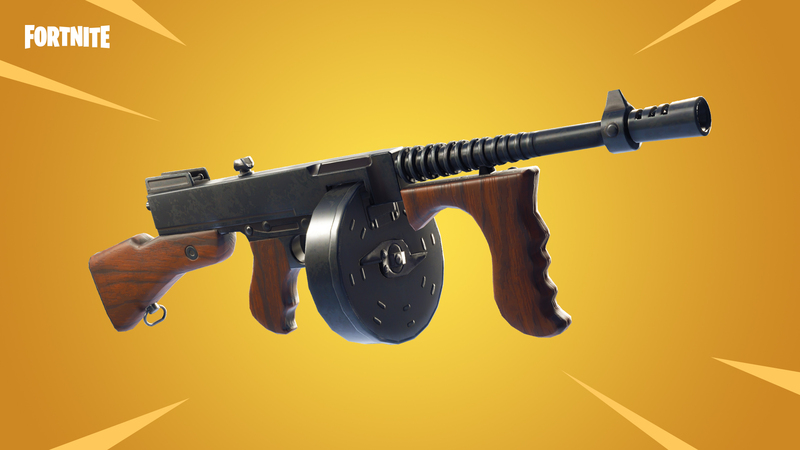 The Drum Gun looks like an old-timey gangster gun, and it combines the stopping power of a rifle and the firing rate of an SMG. It also has the added bonus of looking cool, so there's that. You can now use the nasty-smelling Stink Bomb in Save the World if you want, even though it's a little strange since no one can actually smell what the horrible stench actually is being that it's a lot of pixels on a screen...but whatever! The Freedom Herald Pistol looks pretty rad, and it's just in time for the 4th of July, which is tomorrow, incidentally. You can also get your favorite heroes outfitted in Stars and Stripes hero outfits, which are honestly pretty garish, decorated with the ol' red, white, and blue for good measure. You can check out a complete list of changes that were introduced with the patch via the official Fortnite website here.